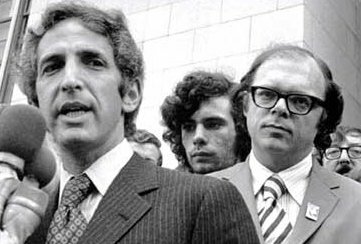 Redirecting to: www.famous-trials.com/ellsberg in (10) seconds. I VIETNAM AND THE UNITED STATES-1940--1950. IV.A.2 AID FOR FRANCE IN INDOCHINA-1950--1954. IV.B.5 EVOLUTION OF THE WAR-The Overthrow of Ngo Dinh Diem-May-November, 1963. IV.C.5 PHASE I IN THE BUILD-UP OF U.S. FORCES­-THE DEBATE MARCH-JULY 1965. IV.C.8 RE-EMPHASIS ON PACIFICATION: 1965-1967. IV.C.9(A) EVOLUTION OF THE WAR-U.S./GVN Relations: 1963-1967-PART II. (2) Pages 1, 2, 3, 4, 9, 12, 13, and 14 of a memorandum dated 27 February, 1968 entitled "REPORT OF CHAIRMAN, JCS ON SITUATION IN VIETNAM AND MACV FORCE REQUIREMENTS;"
In violation of Title 18, United States Code, Section 641.